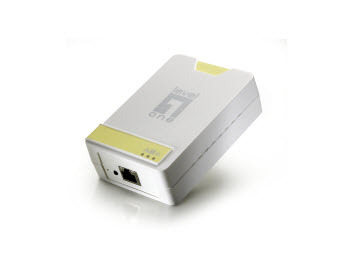 PLI-2040 200Mbps HomePlug AV Adapter is a high definition cost-effective Ethernet adapter which allows home and office users to build a speedy data network over existing electrical wiring. It is ideal for users that have two different workgroups that are located in different parts of the home. Transmit data using the existing electrical wiring in your building by simply plug PLI-2040 into an AC outlet. This is a fast, simple, and cost-effective alternative to installing expansive Ethernet cables throughout your entire home or small office. For this purpose PLI-2040 x 2 starter kit is also available for a quick set-up of a home network*. PLI-2040 HomePlug AV is featured with Quality of Service (QoS) which ensures sufficient bandwidth for delivering high quality multimedia streams over the home network. Follows the HomePlug AV standard, users enjoy 200Mbps throughput for all bandwidthhungry applications, such as VoIP calls, video/audio streams, gaming consoles, or any other applications which requires high-speed Internet connectivity. Up to 10 times faster than other HomePlug devices when store, transfer and access large files to LevelOne’s Network Attached Storage (NAS), such as FNS-1020 and GNS-2000. 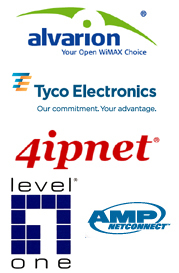 128-bit AES secure encryption for enhance network protection and data transmission.